Recently, I have traveled to numerous restaurants trying the best cuisine each one has to offer, one restaurant in particular, stands out to me. The best burger I have had in recent memory was in Portland, Oregon where I visited the Helvetia Tavern located about 10 miles outside the city. This restaurant is critically acclaimed in the area for their burgers. Naturally, while there, I ordered and consumed one of the largest burgers I have ever laid eyes on. In fact it was so big, it could have easily given someone a heart attack at first site, and double their cholesterol level after finishing it, but the experience and taste of the burger made it all worth it. Just to put it in perspective, each of my hands is big enough to hold a basketball, the edges of this burger were sagging off my hand because it was so large. You don’t need to travel across the country to find a burger of this caliber, one can be found right outside of your door here in Ramsey. When my Dad first told me about The Shannon Rose and the burger he had there, the self proclaimed “Murder Burger”, I had to see it and try it for myself. He continued to rave about the burger for the next three months until I had the opportunity to try it myself, and when someone hypes up a restaurant this much, I typically expect big things. The Murder Burger is served on a brioche bun with lettuce, tomatoes, jalapeños, onions, jack cheese, and Thousand Island Dressing. 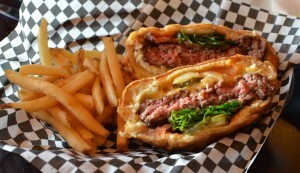 Also, the entire burger is dipped in beer batter, and is deep fried, a true masterpiece. The establishment was just as I expected it to be: a pub layout, a bar, and a little New Jersey diner style. The service was on par as evidenced by the prompt arrival of our drinks and appetizers. The restaurant also carries a certain ambiance that is often overlooked in most places these days, a sense of home and comfort. 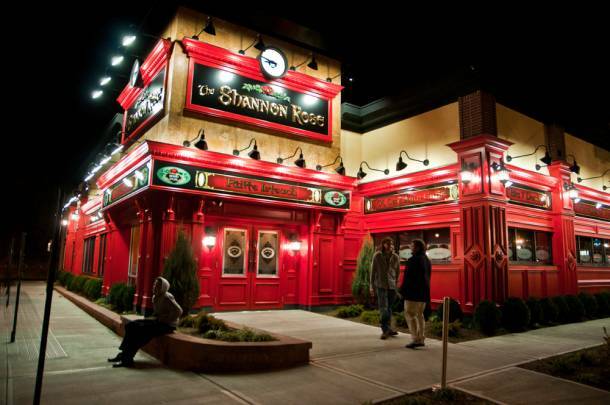 Whether it’s enjoying a meal with your family or watching a football game with your friends, The Shannon Rose provides a serene atmosphere like that of your own home. The “murder burger” itself is it’s own separate aspect of The Shannon Rose. Delivered to you on a rectangular plate with a basket of fries and assorted condiments, the delicious looking burger resides right in the middle, waiting to be consumed. During the first couple seconds of biting into the beast, it tastes more like a Reuben than a burger. The grilled beef and cheese finally kick in and you start to really appreciate the meal. While the onions and jalapeños try to add a little extra zest to your experience the tomatoes and lettuce seek to cool it down, adding a clash of the taste buds to your meal. All in all, I finished my meal with plenty of room left for dessert and an appetite for more of what the Shannon Rose has to offer. A warm slice of apple pie excellently finished off this meal. 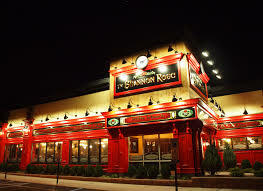 While I consider the burger to be more manslaughter than murder, my experience at The Shannon Rose Irish Pub will definitely be remembered by me and my family and I plan on visiting again soon.